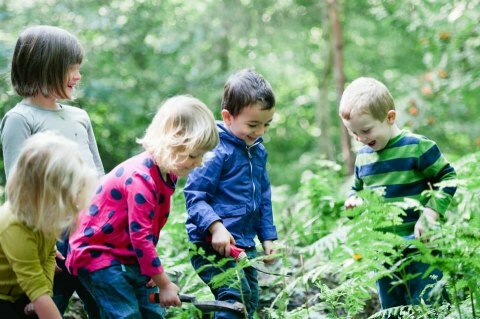 We are an outstanding forest kindergarten, tots and holiday club based within acres of woodland in Ide Hill near Sevenoaks and Westerham. We cater for 0-10 year olds.. come and visit us to find out more about our adventures! The Forest Kindergarten provides children with the freedom, space and a beautiful natural environment in which to be children, to run, swing, build dens, climb, be creative, acquire a natural curiosity and hands-on understanding of the natural world, to tell stories, play and explore, whilst experiencing all that nature has to offer. Every day we discover and learn something new through the ever changing seasons. Children develop strong physical, social and language skills, and above all self-esteem and respect for the great outdoors. 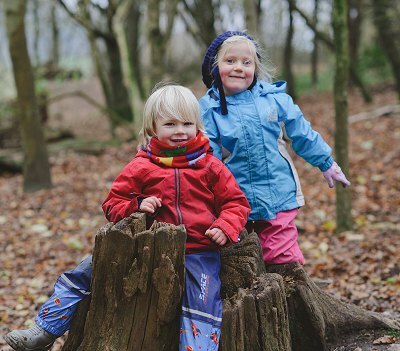 Read our latest Outstanding Ofsted report at Toys Hill woods. For more information or to book a place email c@forest-kindergarten.co.uk or call Caroline on 07718896919.